In 2017, Fisher Sand and Gravel was among six companies selected to build a border wall prototype in California. The Fisher Sand and Gravel Company has told the Department of Homeland Security that it would be able to build 700 miles of the border wall for $12.2 billion. In 2017, Fisher Sand and Gravel was among six companies selected to build a border wall prototype in California. So far, it has been the only company to submit a plan to build the wall itself, the Washington Examiner reported. The company said it could build a 700-mile continuous wall between California and western Texas over the course of six years. What's more, the company's estimated cost of $12.2 billion comes in under President Trump's request to Congress of $18 billion for just 654 miles of the wall's construction. According to Tommy Fisher, the company's president, Fisher Sand and Gravel would provide the materials (made in the U.S.), workers and a warranty for the border wall. What's more, Fisher said that by choosing his company the government would not have to oversee the projects logistics or financing, the Washington Examiner reported. Fisher Sand and Gravel has already found partners for the project in Caterpillar, CMC rebar and Arizona Portland Cement Company. In addition, Liberty Mutual Insurance has offered to help pay for the project with two bonds worth $10.8 billion and $1.3 billion, the Washington Examiner reported. Seventy percent of the funds would go directly toward paying for the wall, while the remaining 30 percent would pay for infrastructure around the wall, including roads on either side, which Fisher said were a design requirement. One of these roads would be elevated to aid Border Patrol agents in spotting illegal immigrants. According to Fisher, the company's cast-in-form process, which is now patent-pending will meet DHS requirements, and is expected to produce a wall that will last 150 years. 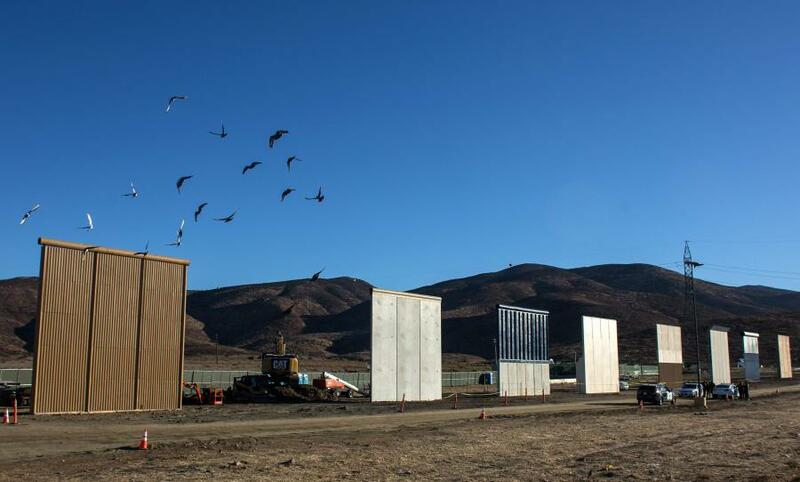 After the materials preparation is complete, crews will be able to complete the project at a rate of one mile of wall per day, the Washington Examiner reported.